Place of Remembrance, the winner of a national architecture competition for a cultural center in Lima’s waterfront. Sandra Barclay studied architecture in Lima, Paris, and Santiago, Chile, where she received a master’s degree in landscape and territory from Universidad Diego Portales. She currently teaches at Pontificia Universidad Catolica del Peru. In 2018, Barclay received the Women in Architecture award from The Architectural Review. 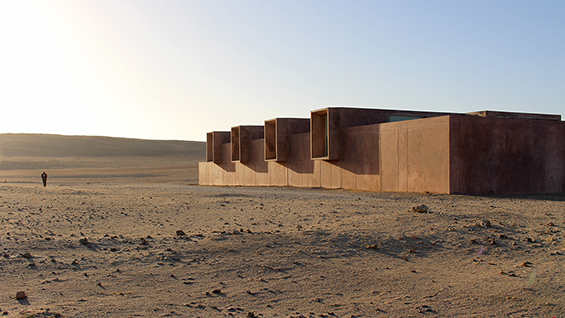 Jean Pierre Crousse studied architecture in Lima, Milan, and Santiago, Chile, where he also received a master’s degree in landscape and territory from Universidad Diego Portales. He is currently director of the masters program in architecture at the Pontificia Universidad Catolica del Peru.